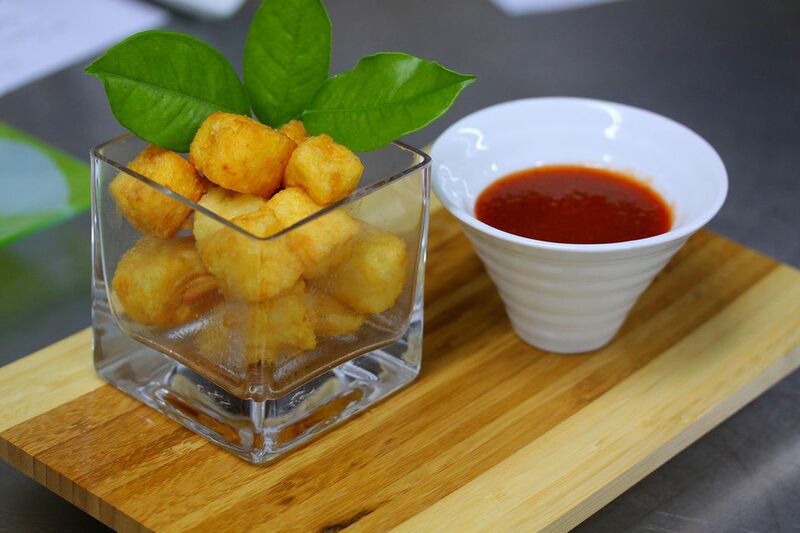 Fried cheese, or queso frito, is a Latin American delicacy most notably as a Mexican treat that is perfect as an appetizer or afternoon snack, or even a breakfast treat. It is eaten not only in Mexico but is also popular in many Spanish-speaking countries in the Americas including Colombia, Dominican Republic, Nicaragua, and Puerto Rico. Not every cheese will work—you need a cheese that is slightly spongy and a little bit crumbly with a high melting point. Most cheeses will just melt in the oil and make a big mess. The type of cheese to look for is literally called "frying cheese," or queso para frier. 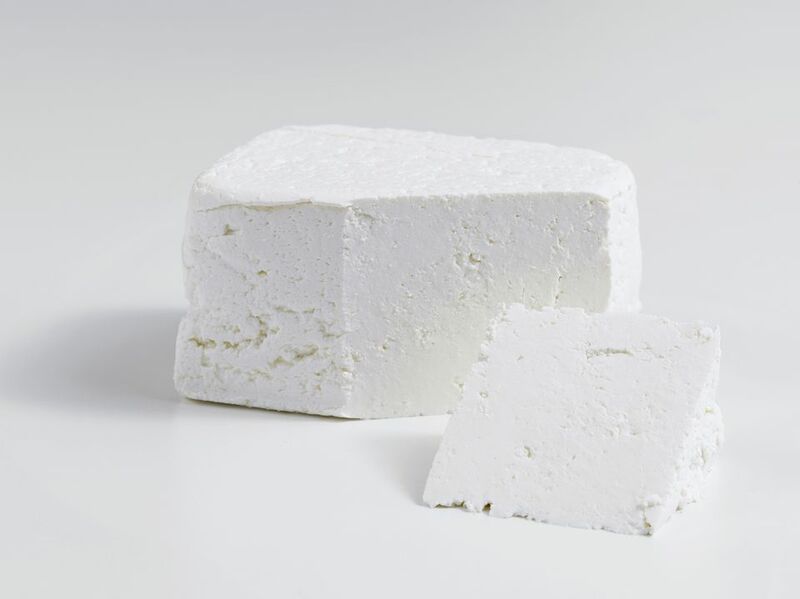 It is a fresh-tasting cheese that does not melt when exposed to high heat. You can also use queso asadero (grilling cheese), other Mexican cheeses, or halloumi, a Greek cheese. These cheeses can withstand high temperatures and still hold its shape without melting. Frying or pan-searing will soften the cheese and result in a golden brown crust with a creamy, unmelted interior. Unlike a mozzarella stick, this dish is not deep fried—instead, the cheese is cut into sticks and pan-fried in a hot non-stick skillet. Rather than slicing into sticks, some cultures prepare it in thin-slice form. And in Puerto Rico, you are most likely to find it breaded and fried in cubes as part of a breakfast meal. To make this recipe, begin with a fresh Mexican cheese or queso de freier. You can also use queso blanco (white cheese) and queso fresco (farmer's cheese), which will work just as well. Unwrap the cheese from its packaging and place it on a cutting board or plate. Since the cheese is fried in finger-like pieces, you need to cut the cheese twice. First, slice it lengthwise into about 1/2-inch sticks. You want each piece to be easy to eat with your hands, so the cheese needs to be cut one more time. Cut the slices lengthwise again, to form evenly-sized sticks. Heat up a non-stick pan over medium-high heat for 1 to 2 minutes. Place the cheese sticks, a few at a time, in the hot pan. Leave space, make sure to not overcrowd the pan. You will see the edges start to bubble, but the cheese will not melt. Remove the hot cheese from the pan to a paper towel to absorb any greasiness. Serve immediately (or within minutes) with your favorite salsa. Fried cheese is also delicious with fruit preserves. In Puerto Rico, it may be served on top of tostones (green plantains) or maduros (sweet plantains).